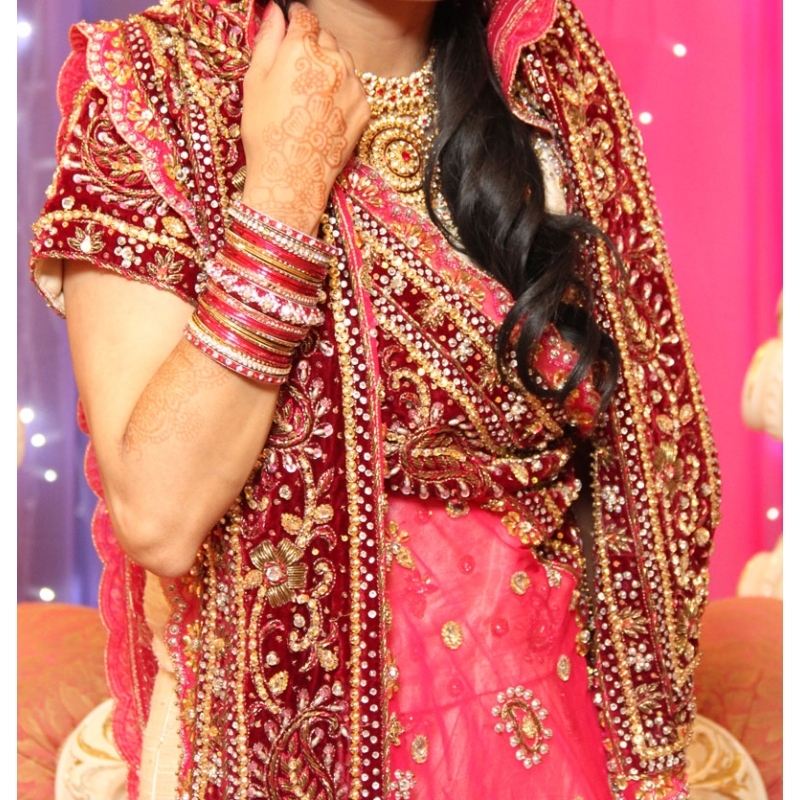 Exquisite and exclusive ghagra in red and ivory and deep pink is heavily embellished with intricate floral patterns, using resham threads, zardosi, stones, beads and sequins, forming vertical panels along the front. 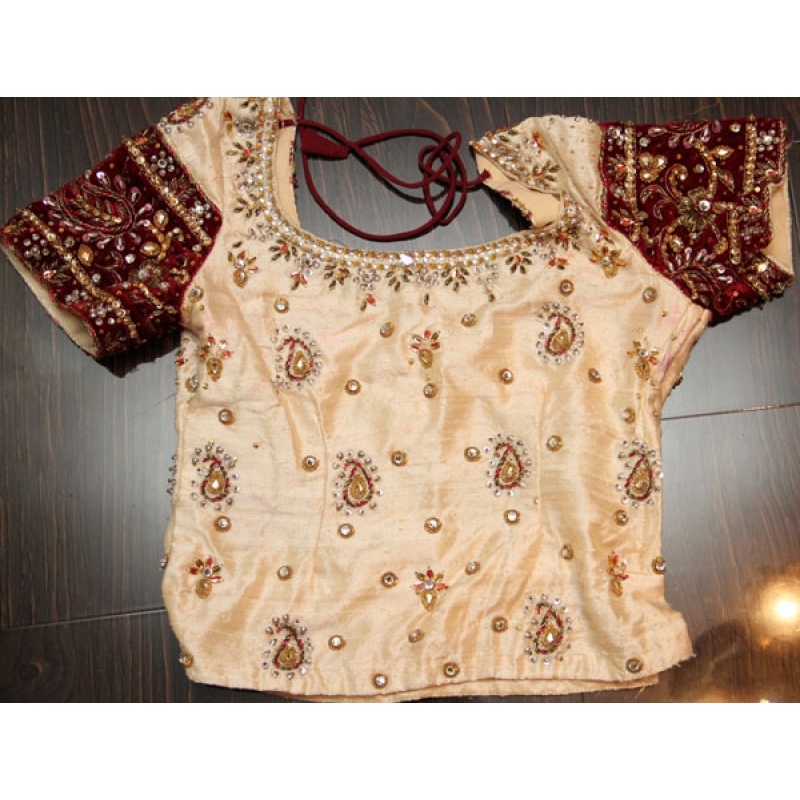 Upper part in ivory using resham threads, zari, stones and sequins. 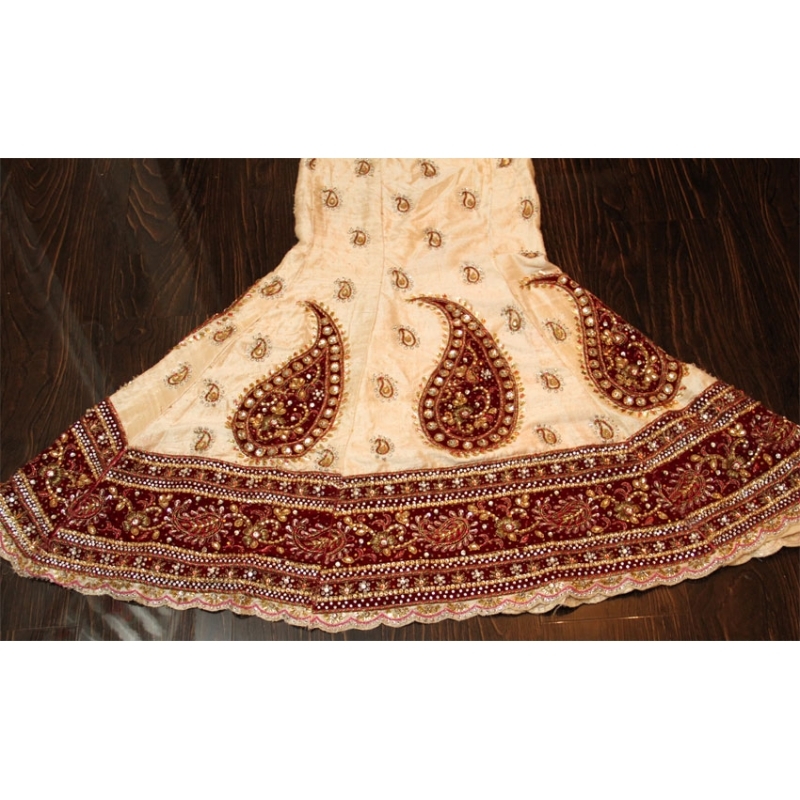 Lower half embellished with huge decorative motifs using sequins, beads, stones and resham threads. 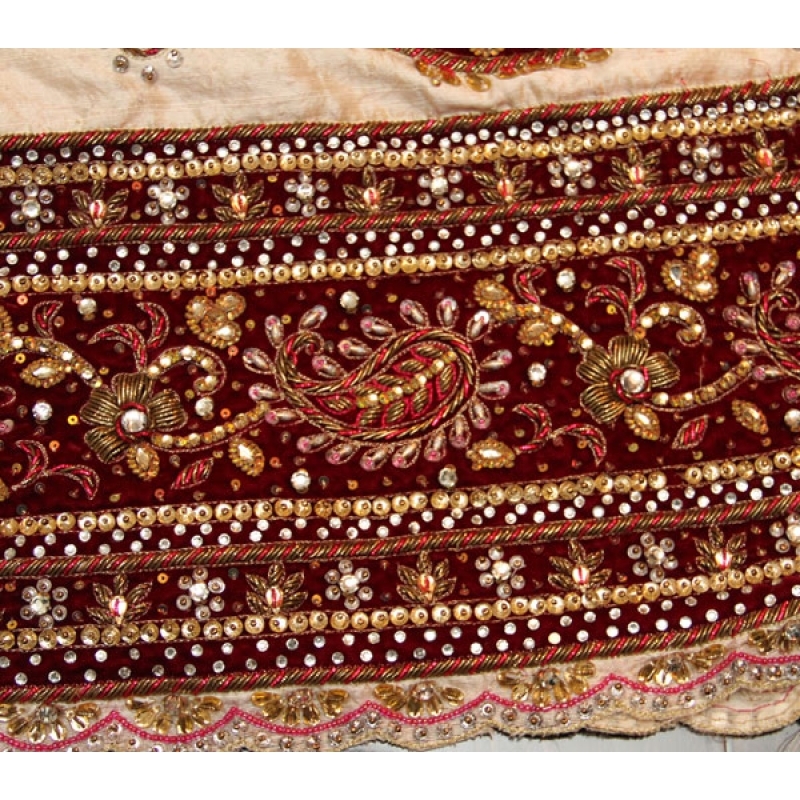 Lovely border is embellished with floral patterns, using resham threads, zardosi, sequins and stones and velvet. 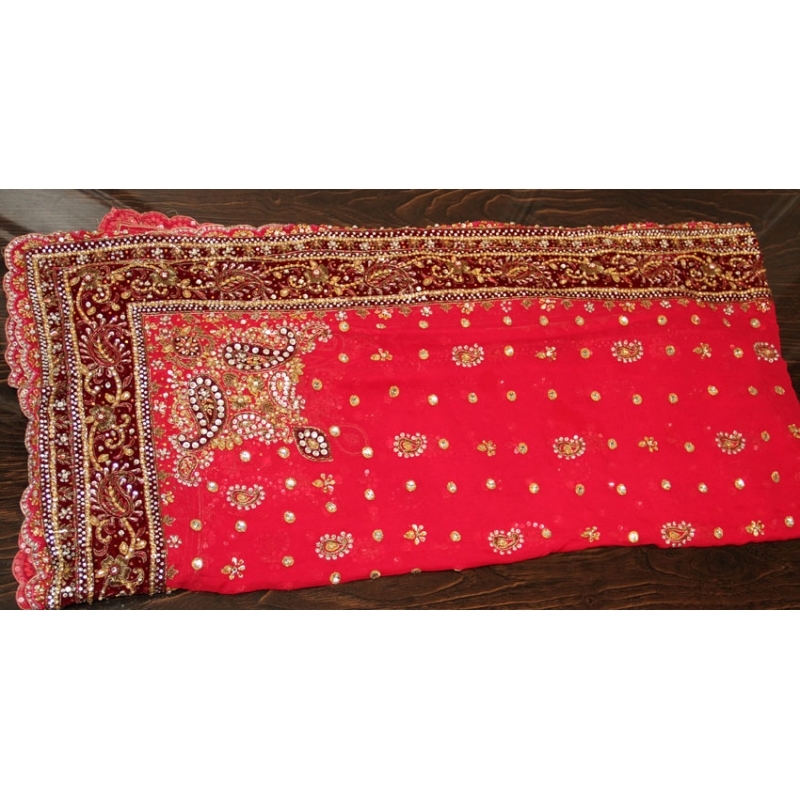 Dupatta in deep rich pink isembellished with resham threads and velvet red, sequins and stones, Fabric used is pure soft georgette. 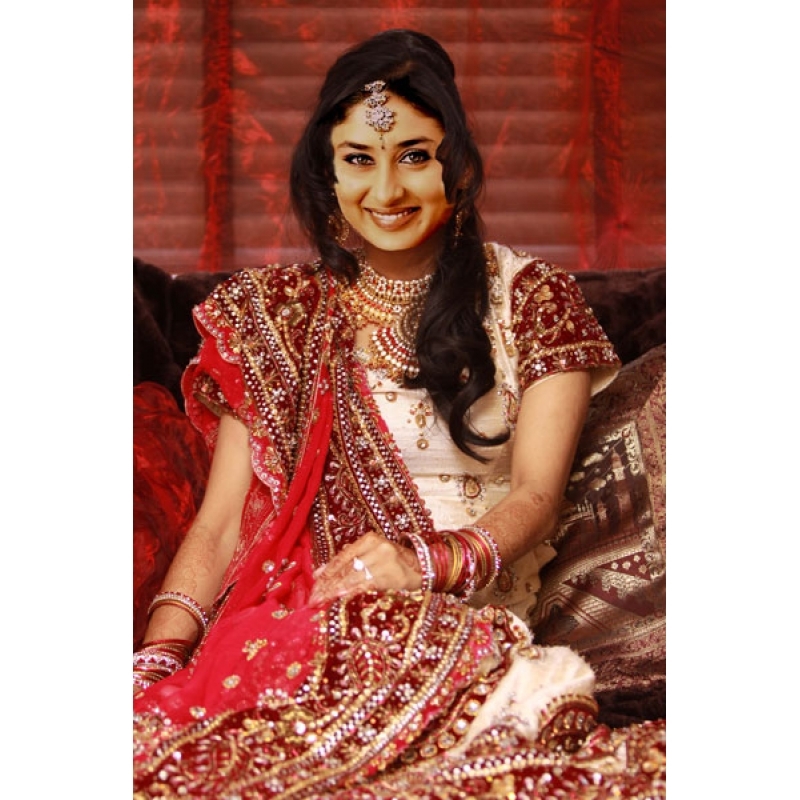 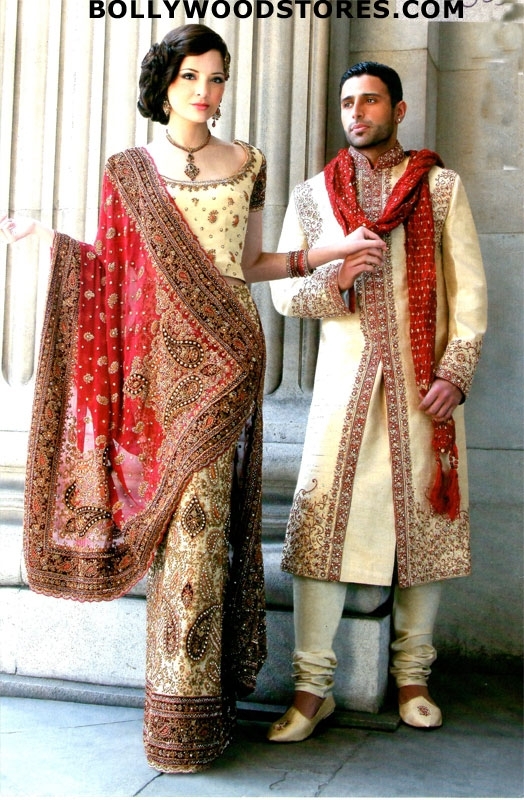 With this package you get the matching Mens Sherwani on the photo for FREE!